July 04, 2018, 1:54 p.m.
Cancer of the cervix, most common among sexually active women, affects 3,200 women a year in the UK. Early stage symptoms of cervical cancer are interchangeable with indicators of a series of other sexual health-related issues faced by women, ranging from abnormal bleeding to pain in the lower back. Yet new research by YouGov indicates a lack of awareness of the risk symptoms like these could pose to their health. The findings shows 64% of women are either not very or not at all confident they would be able to spot the symptoms of cervical cancer. 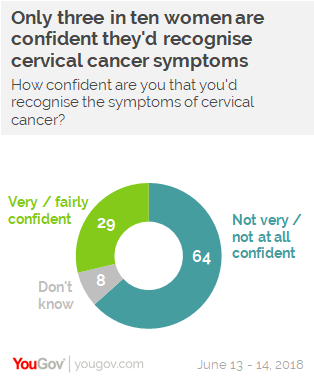 Furthermore, despite the increased risk of young women developing cervical cancer, eight in ten (79%) 18 to 24 year olds are not confident they would recognise the symptoms. Overall, just three in ten (29%) women are ‘fairly’ or ‘very’ confident in their ability to recognise the symptoms. Referral for screenings by a GP are the most common route for diagnosing cervical cancer. 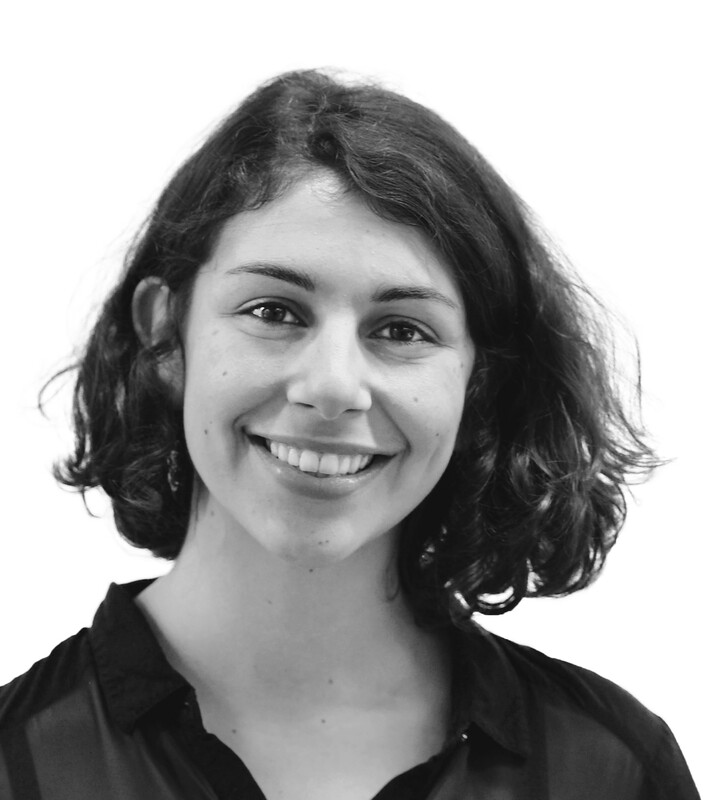 However, despite 25-49 year-old women being the demographic with the highest incidence of cervical cancer, currently one in twenty (5%) of this group wouldn’t go to see a doctor if they spotted signs of a medical problem with their genitalia, slightly over the proportion of women across all age groups saying the same (4%). Just over one in six (18%) would see a GP immediately, while a further three in ten (30%) would see a doctor within a week. Women in Britain are invited to begin taking regular smear tests from the age of 25 and then take them every three years until they reach 50, when they should take them every five years. In an attempt to combat the anxiety that often surrounds the experience, various charities publish guides online on what the process entails and how to stay calm. Still, our research shows that 23% of women have never discussed smear tests with anyone else, indicating that despite charities’ best attempts to bring conversations on the subject into the public sphere, some level of stigma surrounding the subject may still be present. Four in ten (42%) have discussed them with friends or family, with young people more likely to speak to family (30%) than friends (21%). Those aged 25 to 49 are most open to speaking about the subject, with 52% speaking to friends, 50% to family, and 23% to colleagues – yet even within this age group, 15% have never discussed them with anyone else.